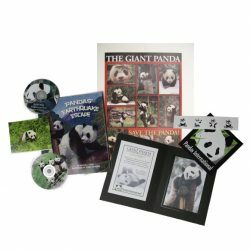 The basic education package consists of a downloadable link containing information about the giant pandas with sections: The Giant Panda, Panda Habitat, Panda Cubs, One-year-old Pandas, Adult Pandas, Food & Diet of the Giant Panda, Giant Panda Reserves in China, Reintroduction, and Legends of the Panda. The link will also contain a set of panda pictures. If you would like to purchase a CD of the educational information and pictures you may add it to your order for an additional $2.00. 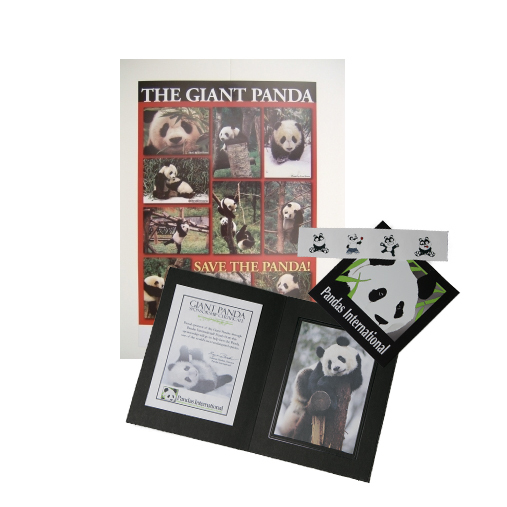 You will also receive a Panda Poster, a car magnet, a sponsorship certificate, periodic newsletters (via email), and panda stickers for each member of the class.